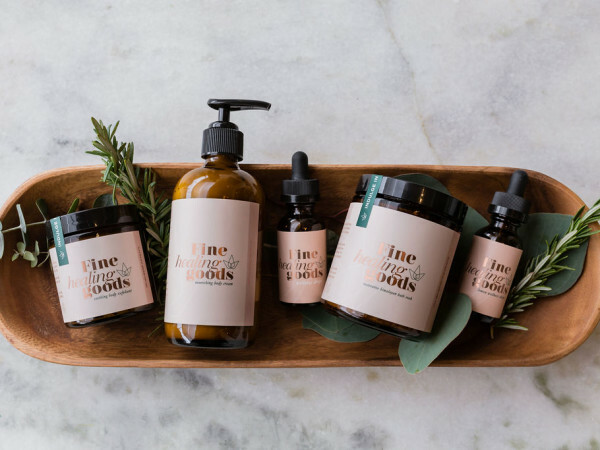 Sam Houston famously said, “Texas is the finest portion of the globe that has ever blessed my vision.” For those of us like Sam, who are united in our love of bluebonnets, guacamole made without green peas and the greatest state in the union, here’s a roundup of brands peddling Texas-themed clothing and home décor that reflects our Lone Star pride. 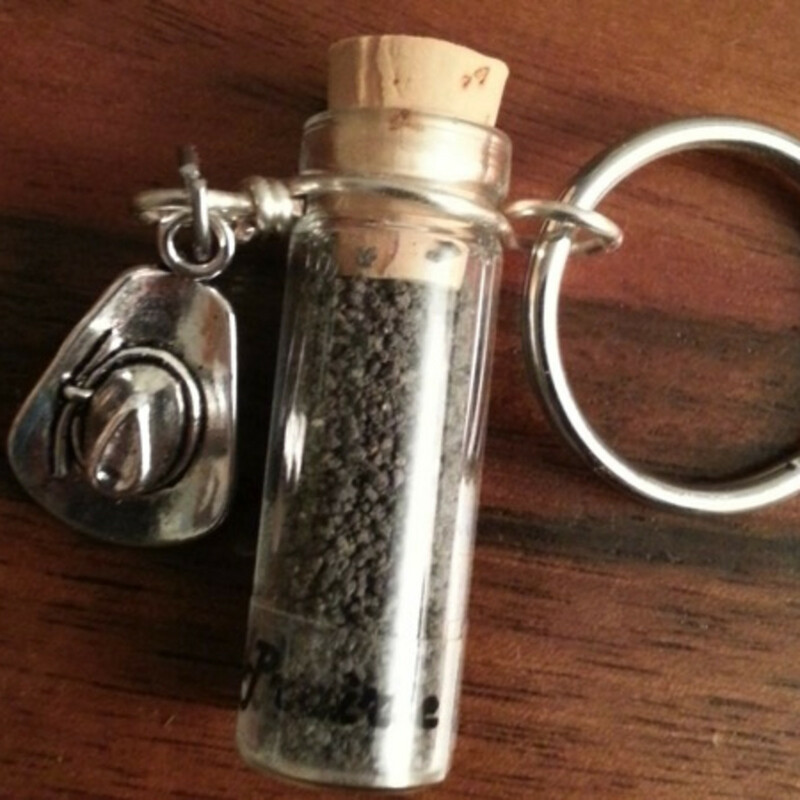 Never leave home without Texas again. 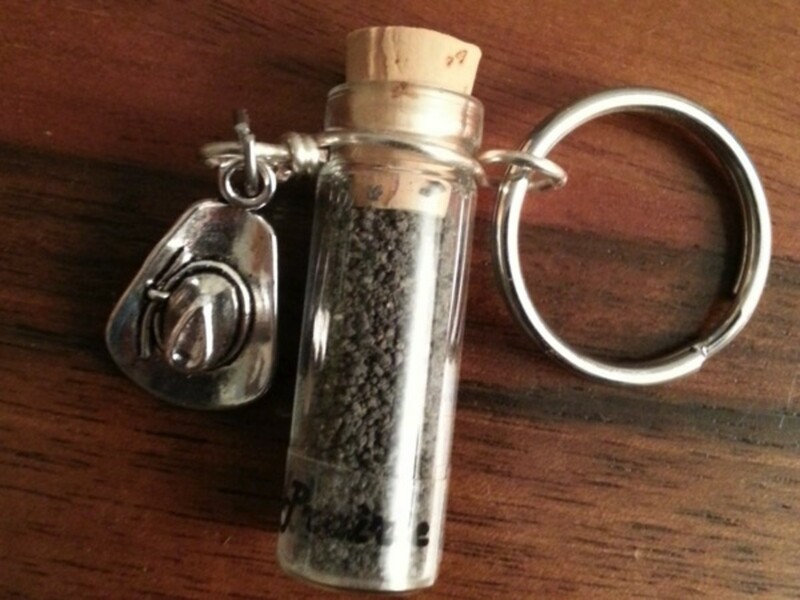 At this Etsy shop, you can choose one of five types of Texas dirt (yes, dirt) to go in a keychain vial with an attached silver-colored charm in the shape of, say, the great state itself or a cowboy boot with spur. Founded by a fifth-generation Texan, Texas Humor began as a Twitter account in December 2011. Since then, it has grown to an audience of more than 200,000 seeking Texas-themed beer growlers; earrings; car decals; and clothing for babies, kids and adults. 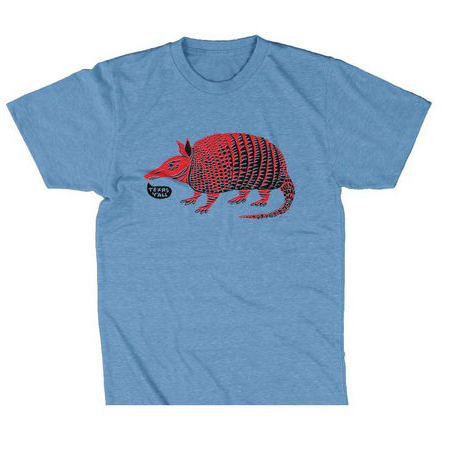 Its “Hecho En Tejas” line and “Tiny Texan” baby and kids clothing are favorites. If your walls are screaming for some Lone Star art, look to the folks at Texas Print Shop for DIY printable pieces. There’s the classic Davy Crockett quote, “You may all go to hell and I will go to Texas,” as well as “Keep Calm Y’all,” and a range of prints of the shape of Texas with colorful phrases in them. You may not be eating from a chuckwagon, but you can dine on china that calls it to mind. 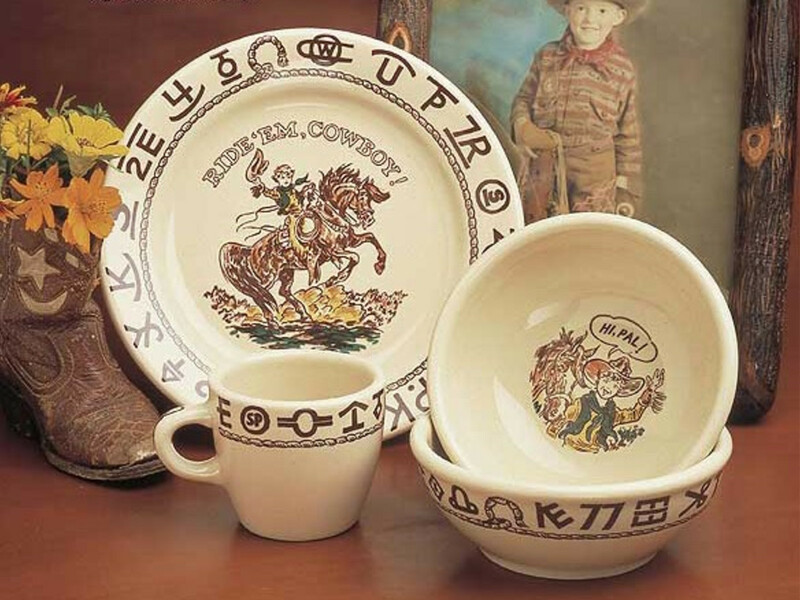 Cowboys and cowgirls will appreciate the classic “Little Buckaroo” line for children, in addition to grown-up dishes. 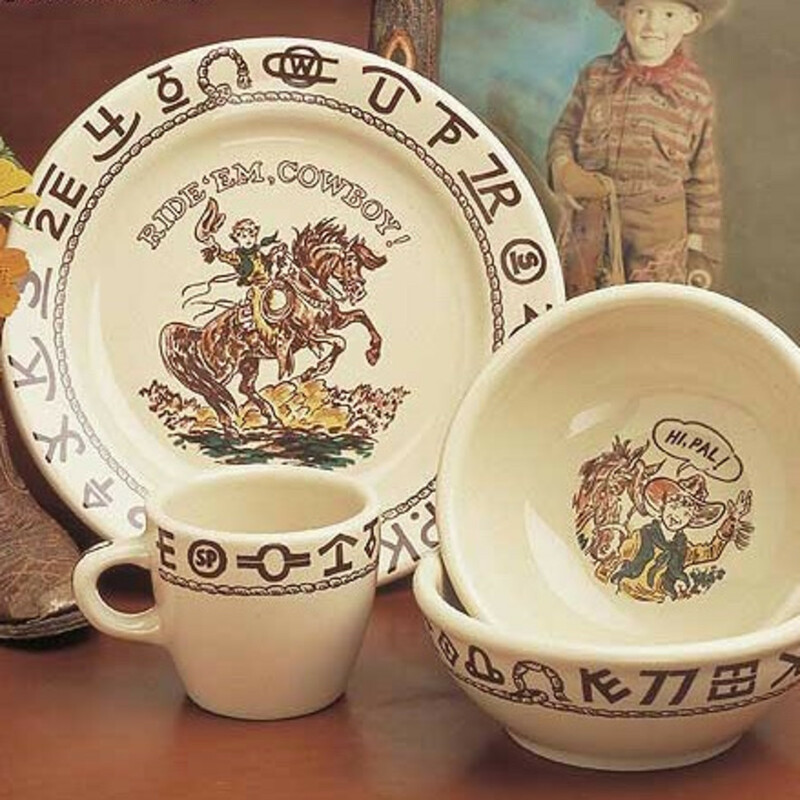 The three-piece set includes a plate, cereal bowl and cup decorated with vintage art, ropes and cow brands. Brian and Jeb, the two Texas educators who founded this company with a love for Texas music, art, design and fashion, wanted their company’s name to reflect the enthusiasm folks hold for the Lone Star State. 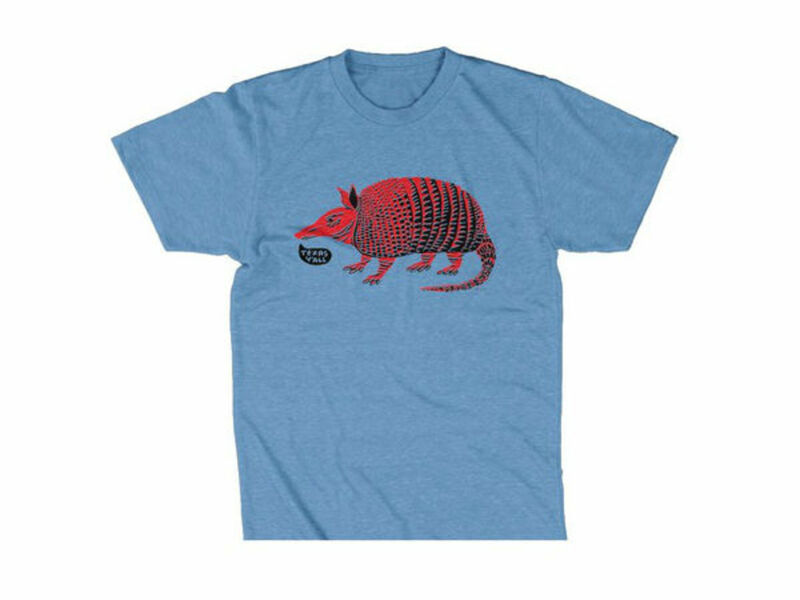 T-shirts range from one that proudly asserts “Heck Yeah Texas” to a whimsical armadillo print to iconic Texas beer.